The white grape variety (also Mainriesling, Würzburg N 1-11-17) is a new breed between Sylvaner x Riesling (which was done by 2012 DNA analysis was confirmed). She may not with the name-like varieties Riesel. Ries liner or Ries Lina be confused. The crossing took place in 1921 at the Bavarian State Institute for Viticulture and Horticulture in Würzburg by Dr. med. August Ziegler (1885-1937). It was made by Dr. med. Hans Breider (1908-2000), who vehemently campaigned for the dissemination. She was crossing partner in the three new breeds Albalonga. Fontanara and Montagna, With the same parents are also the three new breeds Multaner. Oraniensteiner and Osteiner emerged. 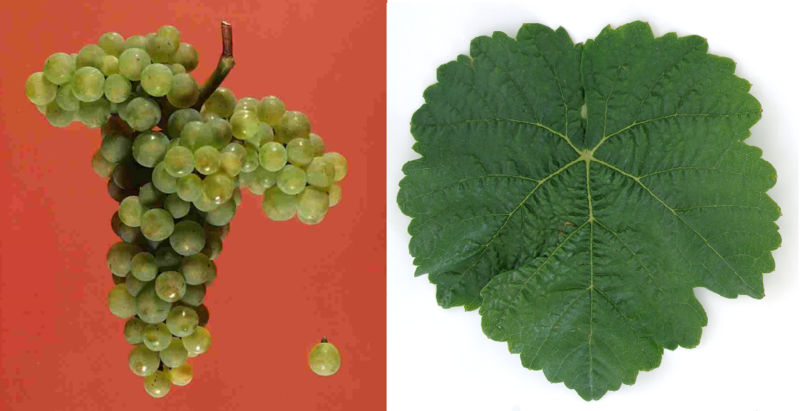 The late-maturing, rather low-yield vine tends to Verrieseln, It produces a yellow-green, fruity wine with Riesling-like taste and aging potential. In 2010, the variety occupied in Germany 87 hectares of vineyards. This page was last modified at 19 February 2019 at 09:25.